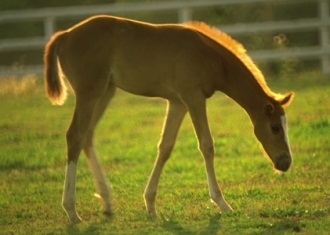 Equine Products | Equine Products Inc.
What is EIPH? And how can you prevent or treat it? Equine Products Inc. is proud to be able to provide a complete line of high quality equine nutritional vitamins and mineral supplements, homeopathic and nutriceutical formulas, as well as joint lubrication and protection products at reasonable prices. Some of our latest products also include all-natural herbal and homeopathic remedies geared towards specific horse ailments. We even offer custom formulation and mixing as an additional service. Equine Products Inc. has been in the business of developing, formulating, manufacturing and distributing high-quality products for all horse breeds for over 30 years. One of our flagship equine supplements is Mike's Original Bleeding Powder, which is the product of choice used by many leading horse trainers around the world (see Thoroughbred Times write up). The quality of a product depends on the quality of the materials used to make it. We use many human-grade nutriceutical ingredients. These are the best quality raw materials available! Our products undergo years of extensive field testing for maximum benefit to your horse. We review our products regularly and compare ingredients and formulations with the latest research findings. We combine these findings with customer feedback to make positive upgrades on a regular basis, continually improving all of our products year after year. Whether you're looking for performance-enhancing nutritional supplements, remedies for leg and muscle ailments or treatments for specific horse sicknesses, Equine Products Inc. has what you need. We look forward to servicing you and helping to maintain your horse's health! All-in-one multiple vitamin, mineral, blood building and essential amino acid supplement. An enhanced formula of the premier nutritional supplement to prevent equine bleeding by strengthening capillary walls. An herbal blended product that creates a natural diuretic effect that works with your horse's system that is safe, effective and easy to administer. Omega-3 for horses, nature's best anti-inflammatory promoting cardiovascular and respiratory health, stomach protection, muscle recovery, joint improvement, coat, hooves, and immune system. Creates special high energy bonds which promote the build-up of muscle energy. A supplement containing the dietary nutrients known to aid the joint cartilage repair process. This antioxidant action markedly speeds up recovery from workouts and relieves muscular soreness by reducing the production of free radicals. All-natural anabolic steroid containing gamma oryzanol used to build muscle and enhance appetite. A premium pelleted protein, vitamin, mineral, and amino acid supplement that is formulated to support the integrity of healthy hooves, the very foundation of any equine athlete. A supplement capable of restoring & replenishing lost cellular body fluids & minerals.